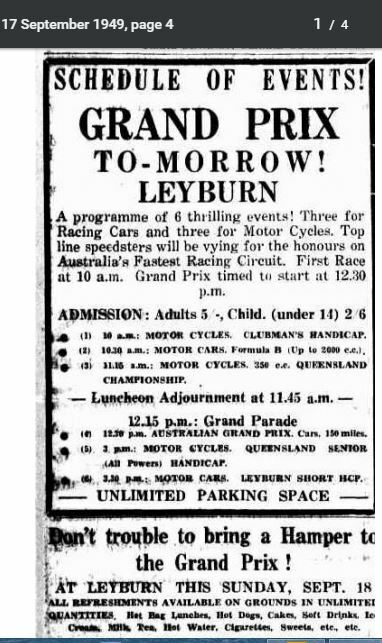 Leyburn was a motor racing circuit that was made up of the runways of the World war two Airfield base near Leyburn. 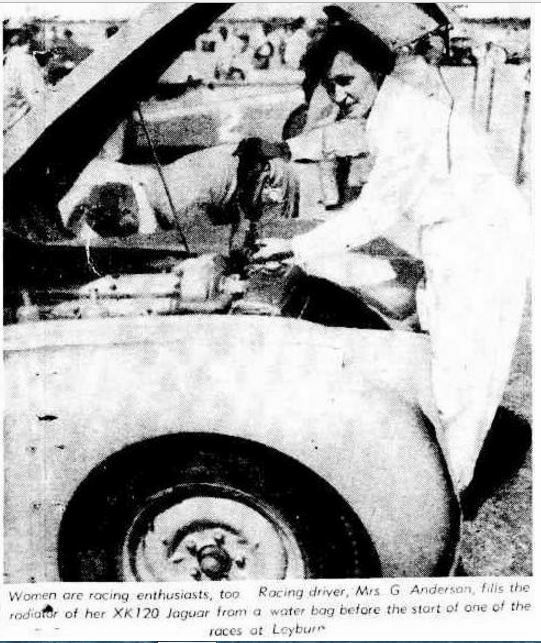 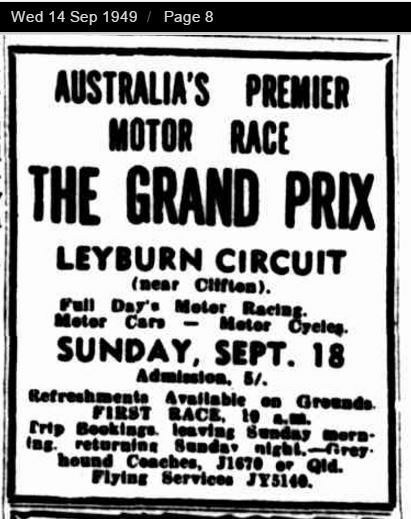 Leyburn hosted the fourteenth Australian Grand Prix on the 18th of September 1949, The race was held over 35 laps of the 4.3 mile (6.92 km) circuit for a race distance of 150.5 miles (242.2 km). 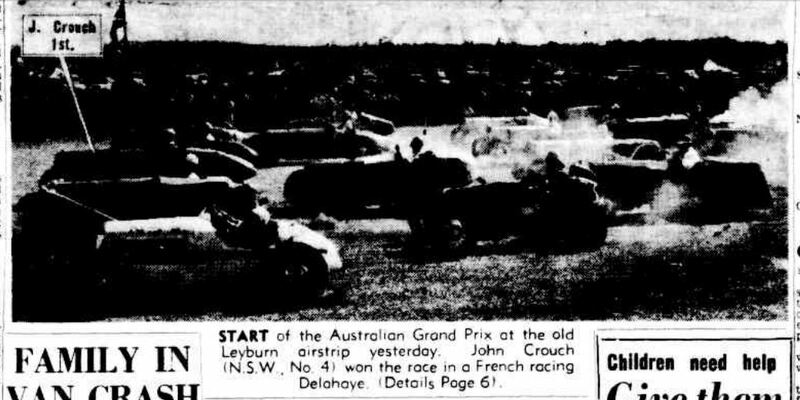 Frank Kleinig led the 28 car field away from pole in his Hudson and also set the fastest lap along with John Crouch in his Delahaye, both lapping in 2 minutes 52 seconds. 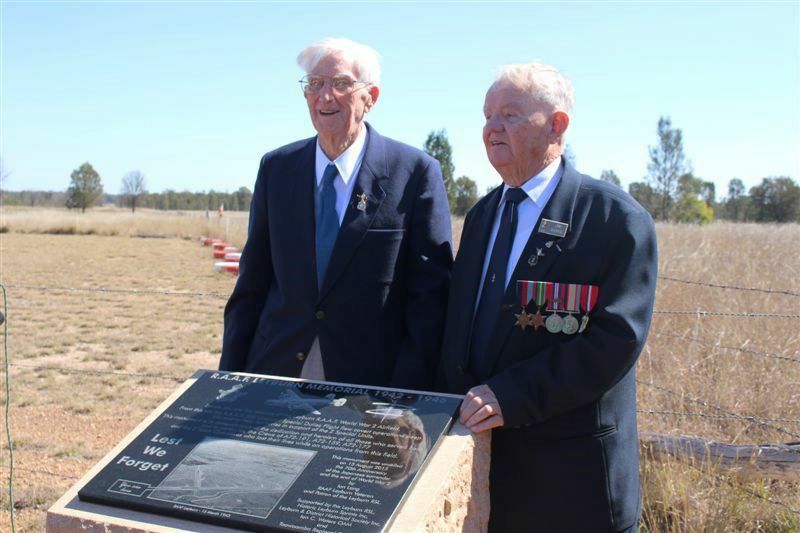 2015 Ian Lang and Jim Banks OAM stand proudly next to the monument errected for the Air Force base.